bombers alike. Golf Digest 4-Star Rating! 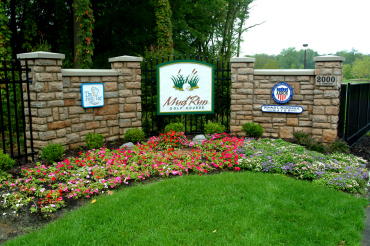 putting green – welcome to Akron’s best-kept secret. The First Tee of Akron's program is designed around teaching young people the game of golf, as well as helping them understand and ultimately develop The First Tee Nine Core Values: honesty, integrity, sportsmanship, respect, confidence, responsibility, perseverance, courtesy and judgment. The First Tee's curriculum was developed by experts in the field of positive youth development through sport and is delivered by caring adults (coaches) who have been formally trained by The First Tee. Interpersonal Skills: Proper introduction when meeting someone new and how to effectively communicate with others. Self-Management: Techniques for managing thoughts and emotions. Goal-Setting: Setting attainable goals to reach desired dreams. Resiliency Skills: Strategies to adapt, to manage and overcome challenges. All residents of Akron and surrounding communities are invited to participate. 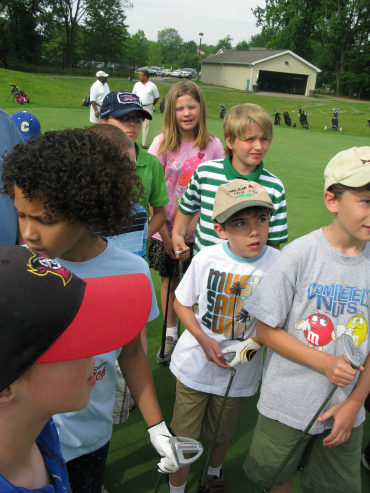 Participants range in skill from beginner to advanced golfers with the program offering activities and a learning environment to accommodate all skill levels and interests in golf. In addition to golf-related learning opportunities, members of the program in good standing will be eligible for other National activities.